Greetings fellow TOVers, It's been awhile.... AP3X here after a bit of a hiatus. The fellows over at the DCUA must've thought I was long overdue for a review so they put out the call and released Green Lantern First Flight. How could I not oblige??? First off let me say Hal Jordan as Green Lantern has looooooonnnngggggg been due for some media love. Even though it's small screen love, we fans of Hal will take whatever we can, especially in light of the fact of the Green Lantern live action movie rumors. Now with the addition of this movie finally Haliphites (Hal Jordan fans and yeah I just made that up) are salivating at the mouth, and feeling the light of the Blue Lanterns (that's a comic book reference if you don't get it. The Blue Lanterns are the Lanterns of Hope). So as the resident comic book guy over at TOV naturally I had to check this one out. Ho Hum another day at the office. Enough BS let get on to the movie. It’s directed by Lauren Montgomery (who gave us a fantastic Wonder Woman film), Bruce Timm (the list of awesome animated stuff this guy has made is too long to list) produced, and written by Alan Burnett and Michael Allen. It's an origin movie (no matter what the people involved say),and so a lot of ground has to be covered. The movie opens quickly with Abin Sur Green Lantern of sector 2814 crash landing, and commanding the ring to find a worthy replacement. Hotshot test pilot Hal Jordan gets whisked away by the ring, and meets Sinestro and his fellow Corpsmen for the first time. 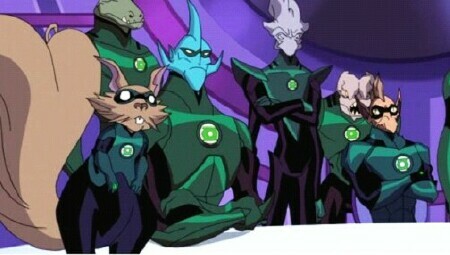 They bring him to the planet OA and the Guardians (who are in charge of the Green Lantern Corps). 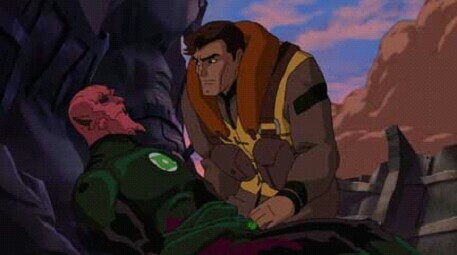 While the Guardians doubt that a human can make a good Green Lantern, Sinestro takes an interest in Hal and takes him under his wing. They’re first priority is finding Abin Sur’s murderer, as Abin Sur was on a case that threatens the existence of the Green Lantern Corps themselves. -The DCUA seems to just get better and better with their animation every time a new film comes out. It’s cleaner and stays true to the DCUA style we’ve known, while at the same time being just slightly a bit different. It’s still got that distinct Bruce Timm styling, but it seems more detailed and refined. 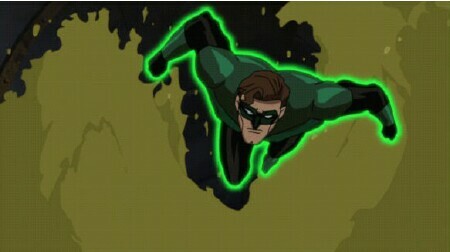 -It’s great to have a Green Lantern movie out, especially a Hal Jordan one. As I said before this has been a long time coming, and kudos to them for finally getting it done. Green Lantern is an awesome property with staggering amounts of potential. It’s super hero, sci fi, cop drama, etc. etc. Hopefully with this release we’ll see more of the Green Lantern Corps. -As a fan of the comic book series it’s hard not to come away thinking,” Why couldn’t they have just done the origin story they way it is in the comics?” Don’t get me wrong the material is not totally different, not by a long shot. The basic story is the same it’s just the little things that bother. Like not mentioned once is that Sinestro was regarded as the best Green Lantern of them all. The yellow weakness is present, but not exactly the same. The oath... good god the oath…. The oath is one of the coolest things about GL. The rings run out of power and they recharge it using a battery and the oath in the comics. In the movie the oath isn’t heard until the end of the movie, and the Lantern’s rings apparently don’t have to be recharged either. 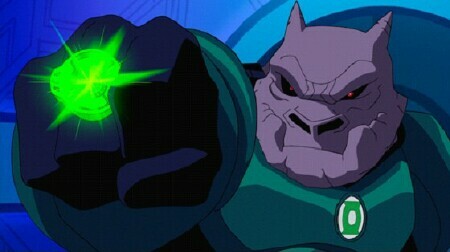 There’s no sound when Kilowog uses his ring. It’s a bunch of little things like that, that leave you feeling disappointed. -The film feels a bit flat. Like someone reading a book in a monotone voice. There just wasn’t any feeling in it for me. Hell even when they do get to reciting the oath, I was all amped up to hear a resounding oath, and it just felt like a bunch of school room kids half asleep and oblivious reciting the pledge of allegiance all half-assedly. What’s this ring on mute Ya Poozer?!!! -Abin Sur’s murderer. What the hell was that. A flying squid that shoots electricity?? Come on….really??? -I got the Single DVD version which didn’t have all of the nifty extras. Though it did have a sneak peak of Superman/Batman: Public Enemies that’s sweet and got me super excited all over again. I’ll be counting down until that comes out. It also had a look at Blackest Night (the Green Lantern crossover event going on in the comics), and a closer look at the Wonder Woman and Batman Gotham Knights movies. The latter two which I felt was kind of cheap since those are already out and really don’t add to anything. -As a fan of Green Lantern it was both ccool and disappointing. There’s great animation and lots of great action, but little depth or feel for The characters or mythos. For everyone else it should be a cool movie to see, not the best but certainly not the worst. It moves fast and doesn’t drag. Overall, I’ve come to expect better from the DCUA and Bruce Timm. Lauren Montgomery, although she didn’t turn in another awesomefest like Wonder Woman, still gets the benefit of the doubt. This movie was ok. Wonder Woman was waaay better. I actually started reading Wonder Woman after watching that movie. I had never really been interested in her books before. Hopefully this will do the same for some people with Green Lantern. 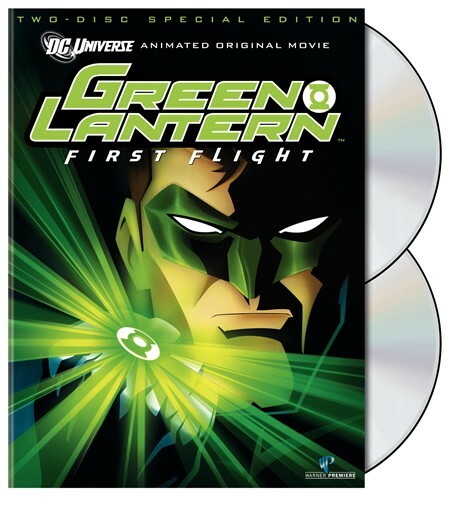 All in all Green Lantern First Flight had the making of a great movie but ultimately fell flat. It’s decent to watch, but I doubt anyone but a Green Lantern fan would own. I give it a 2.5 out of 5.